mwe3: Hows life in New York City these days? Been a long time since we first met in person way back in 2002. How have times changed for you since then? How many albums have you released during the past 15 years? Sorry I lost track of you after 20th century guitar magazine folded at the end of 2008. It was a major jolt! Even though he passed in 2006, I miss reading all the great jazz music reviews by the late Jim Fisch, who was a great asset to the magazine. It was a fun time. after all, Plato suggested that the fundamental ingredient of time is in fact change. So if we are alive, we live in time, and change is how we experience the passage of time. Since 1998, when I released my first recording as a leader, Ive released nine CDs on my Arthur Circle Music label, and I am the leader and arranger on another, played on some compilations, plus Ive authored seven books and contributed compositions to several compilation publications. Yeah, I really miss Jim Fisch. He was a great human being and very knowledgeable about many aspects of music, especially jazz and world music. 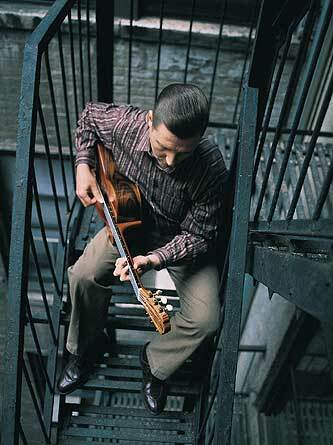 When he passed away I was in the middle of writing Etudes for Solo Guitar in 24 Keys. I dedicated Etude # 14 to Jim. 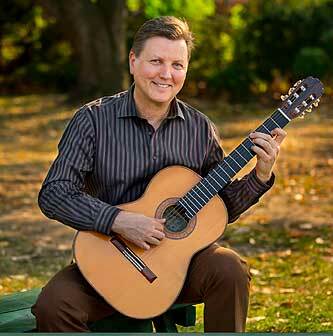 mwe3: How is your latest album 12 Preludes For Solo Guitar a further expansion of your overall recorded repertoire and wide ranging guitar concepts? 12 Preludes is available as both a stand alone CD as well as a CD + book with all the sheet music for all the 12 preludes, so, I assume with this release, youre reaching out not only to the musicians who might want to attempt to learn these pieces but also to the music fans that have always enjoyed your guitar playing and style. It has been my experience that most great music cannot be fully comprehended in a single listening. So Im trying to encourage folks to listen attentively and to re-listen to things that mystify them. Its hard to play a piece that you dont understand. So delving into the printed music can get you to a deeper understanding of the music. And providing printed scores of my music facilitates other players discovering their own interpretations of my ideas, which they can share with their audience. And if that takes years to unfold, in the meantime the general audience has my interpretations of many of my own compositions to listen to via my recordings. For me its all about being an advocate for my musical ideas. mwe3: In the 12 Preludes liner notes I saw you used my quote from 20th Century Guitar where I called you a veritable Picasso of the jazz guitar world but after playing 12 Preludes, perhaps I guess it should have said, that you are a Veritable Picasso of the jazz and classical guitar worlds! I guess its no secret that the best guitarists also like to blur the lines between jazz and classical music. I am thinking of Steve Howe, Charlie Byrd and you too. Did you set out to further blur those guitar lines on 12 Preludes? Ken Hatfield: Not intentionally. Unless I have a commission with specific guidelines, I generally set out to explore ideas I find musically interesting. The mystery of where ideas come from and why certain people get certain ideas, artistically speaking, is hard to discuss without sounding like youre courting mysticism. But I do get plenty of ideas, and I feel part of the obligation that comes with the sheer joy of receiving ideas is the responsibility to document them so they can be shared. I try to vary the means of documentation as much as I can within the ever-increasing constraints of a world where many think they are entitled to have access to the fruits of such labors for free. I never set out to create a hybrid or fusion music. I came to this confluence of Jazz and Classical music's, which the late Gunther Schuller called Third Stream Music, quite by accident. I have always been an improvising musician. In the 1980s, Mercedes Ellington approached me about helping Judith Jamison find some guitar music for the choreographic work Ms. Jamison was beginning. I met with Judy several times, making suggestions that didnt quite hit the mark, so eventually I suggested I could write something for her. She was open to the idea, and when a few weeks later I gave her some skeletal solo guitar pieces, she really liked them. That opportunity opened a whole new world to me and changed everything about how I perceived what was possible in music. Eventually it led me to want to actually study composition seriously. Upon going back to school to study composition, I found the classical guitar to be a better fit for what I was studying and writing. And, as luck would have it, my friend Steve Kroon recommended me for Dom Salvadors band at the same time. Finding myself with many of NYCs best Brazilian musicians further stimulated my interest in the instrument favored by Baden Powell, João Gilberto and Tom Jobim etc., i.e. the nylon string guitar. So the natural confluence of influences, driven by curiosity, and associations, professional and academic, led me to my own sound and approach, both for writing and for playing. Some may feel that the resulting music crosses genres. But what is the purpose of categorizing music by genres in the first place? I feel that often it only serves to encourage folks to decide whether they dig something or not without having to listen to it, based on the bag its put in. mwe3: What guitarists did you and do you continue to use as a role model for your own development and style? Some call you a jazz guitarist but youre obviously reaching out to the classical guitar fans with 12 Preludes album and book right? The only other guitarist I can think of when comparing your sound would be Charlie Byrd, who blended his love of classical guitar with jazz. When did you meet Charlie Byrd or did you do a show with him? Ken Hatfield: My two favorite guitar players of all time are Wes Montgomery and Ralph Towner. But there are so many incredible players that I can only keep up with a few at a time. I am a jazz musician, first and foremost. But as a composer I want to write more than musical short stories, though lord knows Ive written quite a few of those. There is nothing wrong with good short stories, but if something in you longs to write a novel, you have to have the skills necessary to develop both the story and the characters so that they hold ones attention over the length and breadth of a novel. Historically many jazz composers wrote tunes as vehicles for blowing and or suites comprised of a collection of such tunes in various bags and moods. To me, such suites always seem analogous to a collection of short stories. Nothing wrong with that; Ive done a lot of it myself. But for some reason I also want to investigate longer forms and strategies for presenting bigger, more fully developed musical ideas. Form and content have to fit, and some ideas are just too much for a three-minute hit or a five-minute radio friendly jazz track. I know this perspective may seem odd to those discovering my music via the 12 Preludes, which are all quite short. But longing to explore forms that are genetically derived from the musical DNA at the heart of a composition and not just string together a series of musical pictures at an exhibition, so to speak, has been a driving force for much of my work. Perhaps this came from working with Judith, and the longer forms of ballet, but there was and is a real desire on my part to create works that hold together over a presentation that is longer than what the antiquated hit record format demands. I knew Charlie quite well. Charlie Byrd and his brother Joe grew up in the same part of Virginia that I am from: Hampton Roads / Tidewater, Virginia. I even worked as a member of Charlies band along with his brother Joe and his son Jeffrey at his home base in Annapolis, Maryland: the King of France Tavern in the Maryland Inn. introduced me to Charlie when I was at Berklee, and we would get together and play whenever Charlie was in Boston. So when I moved to Baltimore, Charlie hired me to play with him whenever he was in or around Annapolis, where Charlie lived. I also played with Joe Byrd in some of Joes groups before I moved to NYC. We all kind of lost touch when I left Maryland. Then one day I ran into Charlie at Michiko rehearsal studio in NYC, where he was rehearsing with the Trio da Paz for his My Inspiration recording. When Duduka and Romero saw me, I was rehearsing with Gene Torres and Vanderlei Pereira for a Buscarino concert at the Classic American Guitar show, they wanted to introduce me to Charlie. We took one look at each other and started laughing and embraced one another. We stayed in touch mostly via phone after that, though we did see each other a few more times before Charlie passed in December of 1999. Joes wife Elena booked my group Trio Novo in D.C. and Annapolis a few years before Joes untimely passing. mwe3: Youve played a lot of classical guitar music over the years so do you consider the 12 Preludes to be studies as well as preludes? And how difficult do you feel they are to learn and can an advanced beginner or intermediate guitarist with some classical training learn to play them? Do these preludes become more complex to play as the album progresses and as the key signatures change? there is a lot there, but its not all on the surface. Some of the Preludes are more technically challenging than others, but I intend them all to be more about the music than calisthenics. And they are all designed to be playable for most fingerstyle players that know the fingerboard and can read traditional musical notation. Based on the implications of your question about key signatures, I can only say that the relationship between keys and complexity is ambiguous at best. Once one gets away from a fixation with the root and fifth of any tonality, you quickly discover how many familiar tones are shared between the easy keys and what many perceive to be difficult keys. No one thinks the letters of the alphabet get more unmanageable as we approach the letter Z. Well, individual notes within the context of specific keys are much like letters within words, and chords are much like words within paragraphs, etc. Ive always worked at being able to function in all keys, so I hear each key as having its own unique personality and charm, regardless of how many flats or sharps its respective key signature contains. mwe3: Tell us about the Thomas Humphrey Millennium guitar you recorded the 12 Preludes album with. 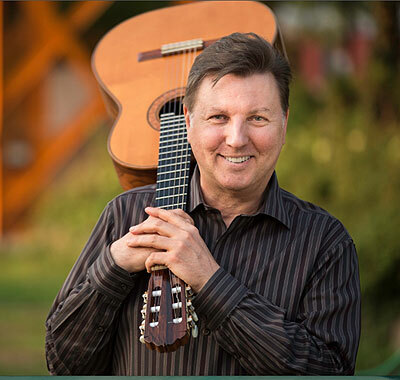 Is that your favorite guitar and what are some of the qualities of that guitar that helps set it apart from other classical nylon string classical guitars youve played then and now? What are some of your other guitars that you have written music on and have played on record and in a live setting? Do you still keep acoustic steel string and electric guitars around the house? 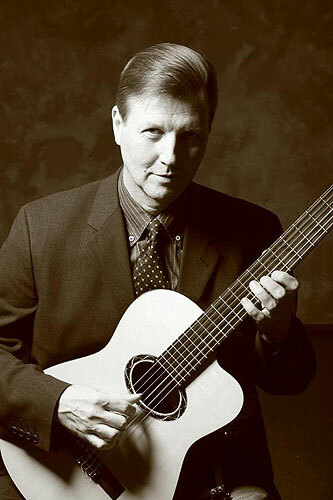 Ken Hatfield: I have many guitars, probably too many: steel strings, both electric and acoustic, dobros, banjos, mandolins, and other stringed instruments, but mostly classical guitars. 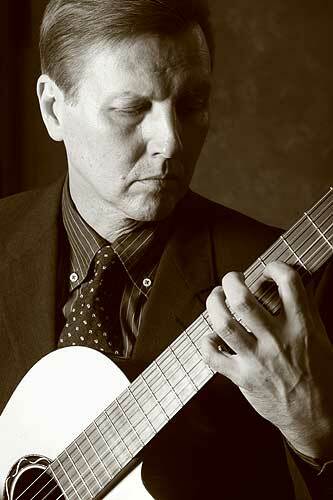 I play Buscarino guitars more than any other, especially live, and even on most of my recordings. In fact, until the Preludes recording, everything Ive recorded as a leader except The Gospel According to Sam from String Theory, whose guitar part was played on a Sergio Abreu, was played on one of the five Buscarinos Ive owned. Ironically, it was Sergio who first introduced me to the late, great luthier Thomas Humphrey. Ever since that meeting in the early 1990s I wanted to get one of Toms guitars. Tom even hooked me up with the folks at Martin when they first introduced two guitars based on Toms Millennium design. But nothing compares to Toms actual guitars. Ive never played one that was a disappointment. So when I found one for sale a few years after Toms untimely passing, I acquired it. It is a magical guitar. Playing it is like having a teacher to guide you, in that when you play correctly, you are rewarded with the most glorious array of sonic possibilities, but if you play sloppily, you sound like a hack! I rarely write music on any instrument, though I do check what I write on instruments. And the sound of an instrument can get in my minds ear, inspiring me. That is what Toms guitar did with these 12 Preludes and some new stuff I hope to record in the future. Often just playing, which for me is usually improvising, on an instrument helps me discover sounds or, more accurately, ways of shaping notes that I realize I can employ to make parts have their own individual character within a composition. That is a big deal for polyphonic music. It can make the music really feel like a dialogue or conversation. mwe3: It seems with all the new technology, apps and computer programs, that youre going against the grain so to speak releasing a more pure sounding album of nylon string guitar preludes. Do you feel we are losing our souls in a way with all the technology and dependence on the internet and how has the internet helped you as a guitarist and a recording artist? The guitar tuning pages with the virtual tuning forks are fun! Now 15 years after broadband do you feel the internet is helping to further music and musicians? Ken Hatfield: All the new tools that the digital paradigm and the internet have provided, are merely that: tools, nothing more. Its what we do with them that makes all the difference. I used Finale to engrave the scores for the 12 Preludes book, and others, too, like the 24 Etudes book. Without such tools I could not afford to share my music this way. All things change and evolve; that is inevitable and unavoidable. I would just like to see folks be a bit more discerning about what they embrace and question why they choose certain things to embrace. New is not always better. Change is not inherently improvement. Lack of knowledge is also known as ignorance. New tools have empowered musically illiterate folks to combine things that are frequently unspeakably lame, and the technology allows such combinations to be presented to folks that listen superficially in ways that an increasing number of folks apparently find acceptable! In such cases, if the chords they use were chemicals, à la George Van Epss chord chemistry analogy, their chemical reactions would either fizzle or explode - they are incapable of anything in between! These are merely effects, nothing more. Now even effects can be useful, but only when their intended use is guided by knowledge within a context that has variety. The technology is alluring, and cats fall in love with what they sample and combine, simply because they did it. That is narcissism, not artistry. The basics of music have not changed. They will always involve mastery of rhythm, melody and harmony, and especially the interaction of the three. A lot of kids have been woefully deprived of access to the means of acquiring these traditional tools and skill sets, so they have developed other ways to create with the resources at their disposal. We should celebrate that. But not at the expense of what has stood the test of time. I may have invented a totally new game that involves using a baseball bat and a basketball, because I had access to those things, and no one ever hipped me to what basketball actually is. But that game is not basketball. And no one in the NBA would let me on the court with a baseball bat, at least not during a legitimate basketball game! We need a balance between demanding that the next generation respect the traditions that preceded them and a nurturing educational approach commensurate with lovingly passing on the richness of what our forefathers have given us. No one needs to reinvent the wheel. Failing to accept the inevitable change that life as well as technology will bring is as much of a doomed strategy as ignoring the 500 years of documented musical history that predates us. Somewhere a balance between the two i.e., maintaining tradition and embracing change that may become innovative, needs to be found and fostered. mwe3: When you write music, such as the preludes on the 12 Preludes CD and book, do you concentrate mostly on melody or chord changes or unique fingerings? What is involved in writing a prelude for guitar and how different is it to write a prelude for guitar compared to say another musician writing for piano or another instrument? What are some of your favorite guitar preludes composed by other guitarists and musicians? Ken Hatfield: I use all and none of the above. It depends on the ideas involved in the music. I have worked hard to develop as many compositional tools and skills as I can. So each piece starts and develops in its own way. Some start with a groove; others begin with a relationship between several chords that suggests a tonality; some start with a melody; some begin with a short phrase that can replicate in multiple voices with staggered entrances creating their own harmonies, especially the contrapuntal works. Schoenberg often said composers should invent the melody and harmony simultaneously. All melodies have harmonic implications. Do you accede to them or go against them? No two pieces are the same, at least I hope mine are not! Many of my pieces are written only on the page with no instrument, just hearing the parts in my head and trying to get what I hear on the page before it evaporates. I try not to write for an instrument if I cannot hear that instrument playing that part, regardless of the instrument. I will then check things on a guitar. Though sometimes I now travel with only a mandolin (its easier with the Airlines), so at such times, Ill check things on that. Other times Im forced to use Finale, and Ill let its playback mode play things for me to check. More and more Im using instruments less to compose. Beethoven used that say that the cats that wrote on the piano sounded like their fingers wrote the music, not their brains! Manuel Ponce and Heitor Villa-Lobos wrote some of my favorite preludes for guitar. mwe3: Why do you use 12 different key signatures for the 12 Preludes album and do you have favorite key signatures to write and perform your music in? Ken Hatfield: There is a long tradition of using the circle of fifths as the organizing principle for the presentation of musical collections of things like preludes and fugues and etudes, etc. This makes perfect sense if you understand how, since the time of Pythagoras, around 500 B.C., the individual tone has given rise to all of our notes as overtones, which when arranged in ascending perfect fifths and alphabetically aligned, yield our major scale. Its a bit like asking why are blues generally in a 12-bar form using the I, IV & V chords? Or why do guys have a Y chromosome? Because that is the way it is! I try not to favor one key over another. But it really depends on the music. Polyphonic music with voices/parts moving in contrary motion can quickly tax what is physically possible on a guitar much more than on a keyboard instrument, so certain keys can be better for certain ideas for the guitar. I try to let the music determine that. you know, going counterclockwise around the circle of 5ths: C to F to Bb to Eb, etc..., so I learned that way of approaching things first. When later I discovered how and why string players preferred the sharp keys - i.e., C to G to D to A, etc..., moving clockwise around the circle of 5ths, I was way ahead of the game. That is now just so much a part of who I am and how I do things that I do not see any advantage to changing. Hell, I never even owned a capo until someone recently gave me a prototype of one they invented. mwe3: Tell us about working with Jim Clouse and Michael Long during the writing and recording of the 12 Preludes CD. How many albums have you worked with Jim on and was Jim involved in the mixing and mastering of the 12 Preludes album as well? What else can you tell us about your students? I imagine Michael Long must be one of your more advanced students, as you trusted him to help check the fingerings of the music. Ken Hatfield: Jim Clouse is one of he best musicians I know. We go way back to when I first arrived in NYC. Jim is not only a great engineer, but a world class saxophone player, and his résumé includes Tania Marias band and Mel Lewis' Monday Night Village Vanguard Orchestra, a wonderful drummer who was the musical director of the Joffrey Ballet as a drummer, and one hell of a third baseman! Seriously, Jim has the best ears of any engineer Ive ever worked with. A lot of cats that record elsewhere due to space or gear considerations, end up mixing and mastering with Jim. He is the best! And he is a great cat to spend time with. Ive done at least five records as a leader with him, and a few film scores, a ballet score, several arranging projects, and even a couple of live projects. Id be hard pressed to find anyone Id rather work with. Mike Long was also one of John Griggss students. So when John passed away in 2009, Mike asked about studying with me online. Mike is a computer code writer by vocation and a marvelous musician, so he actually guided me into online teaching, initially to help him continue his studies, and now so I can share what Ive learned in a lifetime of music with other students. Mike is conscientious, so he was among the first to get and play through the preludes. I never use tablature and rarely use fingerings, so I find checking any of that to be much harder than checking the actual musical notation. Having others who will double check such things is very helpful. mwe3: What interests you most about the guitar and about music in 2016? What concerts or performances stand out in your mind most over the past decade? What are your concerts like and do you try to balance the shows with both classical and jazz songs? 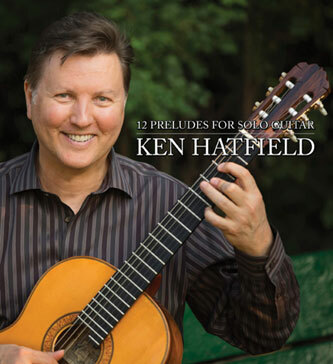 Ken Hatfield: The guitar truly is a miniature orchestra like Segovia often said. Its also the worlds most popular instrument. And its much more portable than a piano. Im really intrigued with exploring the role such a versatile polyphonic instrument can play in a variety of ensemble settings, particularly for jazz music. Even legends like Sonny Rollins have lamented how easily a piano can take an improvising soloist into directions the pianist wants to go in, often against the soloists will. Consequently, increasingly cats prefer guitar or vibes as comping instruments in jazz. Well, the classical guitar can both create more texturally and polyphonically varied support while taking up less sonic space than any other chordal instrument, and do so with such transparency of sound that it could well make it the instrument best suited for accompaniment in all of jazz contexts. But then Im biased. I hope to get the chance to explore and extrapolate upon this in a variety of musical contexts both live and recorded. And I hope to do so with many of the great players Ive developed relationships with as well as new ones Ive yet to play with, and do so all over the world! Hearing João Gilberto live and hearing Jason Vieaux live both stand out as exceptional guitar musical experiences. And hearing Harold Maberns Trio and Miguel Zenóns Group, both at the Village Vanguard in NYC, stand out as extraordinary live jazz performances. mwe3: How challenging is it maintaining a schedule where you divide your time between writing music, teaching guitar, performing and also recording? What is the best part of being a musician for you? Is it any of the above or is simply living in NYC the most fun part of all? So now with 12 Preludes out and getting press and airplay are you planning a musical move for 2017? Ken Hatfield: Man, life is challenging in and of itself in this day and age. The best part for me is and has always been the music. It is the only thing compelling enough to get any sane person to put up with all the business baloney. that needs to be replicated throughout any society for its economy to thrive. Unfortunately, too many fail to realize how interconnected we all are. To me, if our bodies are what we eat, wouldnt our brains also develop based on what we put in them? Ironically people consume the musical equivalent of junk food and then justify not paying for it because most recordings have only one good track. How about listening to better, more thought provoking music? And how about starting with music not focused solely on words, or because you liked the dance moves in a video? Why not consider instrumental music as a means to better comprehend some of the things music alone, not words or visual stimuli, can communicate? I suspect if that happened more frequently wed have a more conscious society, one less prone to justify why they can perpetrate or tolerate the dreamers of their own culture being cannibalized by that culture, in the name of momentary diversion. I have two projects already written: one is an ensemble project, the other is a solo guitar project. The availability of the funds needed to document each will determine which is born first.